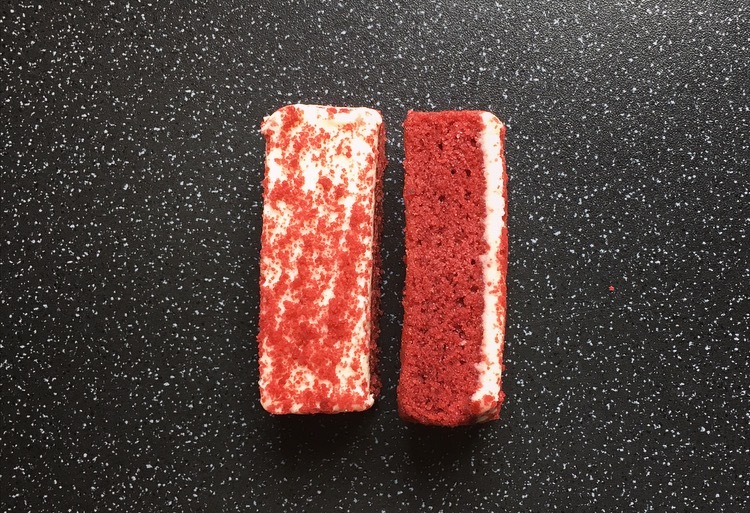 I have had a real hankering for red velvet recently and whilst on a rare visit to Tesco I spied these Tesco Red Velvet Cake Slices and immediately had to pop them in the basket. Red velvet cake is not very prominent and I do question why, it really is one of my favourite cakes in all the land. Some have tried to convert red velvet into other products like the dismal Fox’s Red Velvet Crunch Creams and the less than impressive M&S Red Velvet Tea Cakes so taking it back to its natural form, let’s see if Tesco can get it right. Each pack has 6 red velvet sponges topped with soft cheese frosting and red velvet cake crumbs. 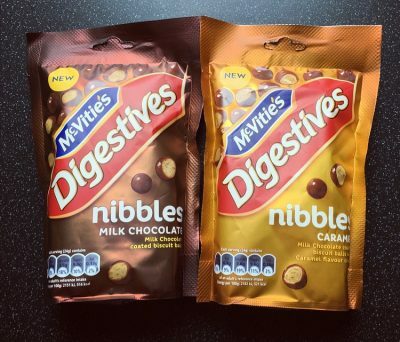 They are presented in one plastic tray which means you are either going to have to eat them all, or pop them in a tupperware pot to stop them going stale. 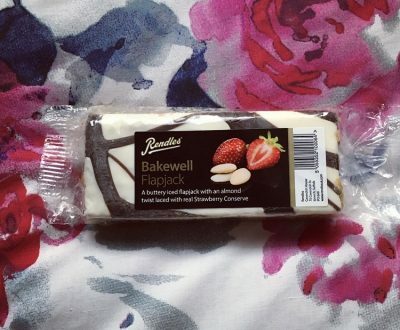 As you can see these cake slices are a little on the skinny side, which I suppose makes it perfect for a little snack but when it comes to cake, as Joey from Friends would say… Cut me a real piece! The sponges were a vibrant red and although rather squidgy in texture they were as light as a feather and not a dry crumb in sight. There was a slight cocoa taste to the sponge and were a little sweeter than red velvet should be. The amount of frosting complemented the sponge perfectly, not too much but just enough to balance out the sponge. I do question the soft cheese icing because really it was more vanilla icing than the traditional cheese, which to me was the let down of the cake slices. 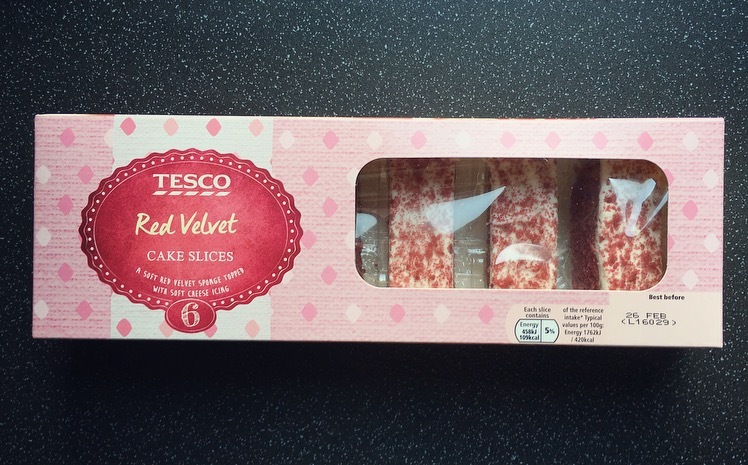 That being said these Tesco Red Velvet Cake Slices are still delicious and truer to red velvet than some I have tried. Good effort Tesco just a little work needed on the icing.